Paulo Nogueira Batista, Brazil’s executive director at the International Monetary Fund (IMF) has rejected the organisation’s decision to sanction a fresh bailout for Greece. “Recent developments in Greece confirm some of our worst fears,” said Batista, who represents Brazil and 10 other Latin American countries at the IMF. 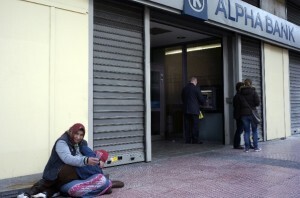 The organisation released 1.7 billion euros of rescue loans to Greece on Monday even as emerging economies grow increasingly impatient with European nations bailout packages. “Implementation (of Greece’s reform programme) has been unsatisfactory in almost all areas; growth and debt sustainability assumptions continue to be over-optimistic,” Batista was quoted by Reuters. The IMF has till now announced $37.6 billion rescue funds for the crisis-hit economy while also raising fresh doubts over Greece’s “capacity to repay the Fund” in case of a recovery failure without additional eurozone financing. “This statement is one step short of openly contemplating the possibility of a default or payment delays by Greece on its liabilities to the IMF,” Batista said. The abstention of Latin America on the IMF decision is being seen as a significant vocal protest against the global body’s perceived eurozone bias.